KAZAKHSTAN: Vestas has received its first turbine order for a 52MW project in northern Kazakhstan. It will supply 52MW of its V112-3.45MW machines for the Astana project near the country’s capital city of the same name. The turbines will be delivered in both 3.3MW load-optimised mode and with a standard 3.45MW rating, the manufacturer stated. It did not specify how many models will be delivered in each power rating. Delivery is scheduled to begin in the third quarter of 2018. When completed, the Astana project could be Kazakhstan’s first commissioned wind farm. Kazakhstan currently has no online projects, but there are several in various stages of development. The government owns six 35MW sites in the north of the country, and a 78MW project in the east, that it hopes to complete this year. Meanwhile, in 2013 China’s Development Bank vowed to invest $100 million in a 50MW site owned by Kazakh corporation Pavlodar Social Entrepreneurship. Three years later, US firm Unique Capital Management selected HydroChina Corporation to build a 200MW site in westerly Aktobe region. To date, none of these sites have been completed. 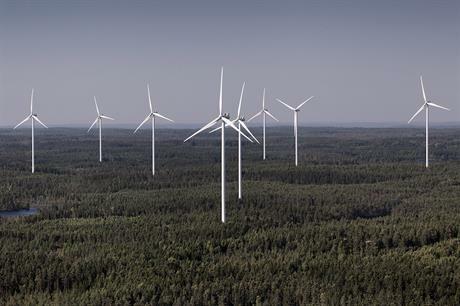 Nils de Baar, Vestas’ president of Vestas’ north and central Europe division, said: "The Astana wind project marks an important step in further developing this promising wind market." Last year, Kazakhstan entered analysts Ernst & Young’s renewable energy country attractiveness index at number 37. The country had benefitted from a €200 million loan from the European Bank for Reconstruction and Development to improve its renewable energy stock and its transmission systems.